Check this box to unlock senior rates where available. 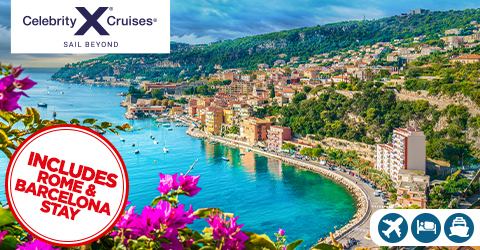 Ready to set sail with one of the finest cruise lines in the world? With Celebrity Cruises, you can do just that. Their name has become synonymous with luxury – and for good reasons too, with a string of accolades for high-end cruising. Those lucky enough to sail with Celebrity can expect uncompromising service with nearly one staff member for every two guests. That's not all! World class dining and Broadway quality entertainment – these are just a taste of what's on offer. Experience the thrill of back to back cruising onboard both MSC Splendida and Celebrity Solstice! Hotel stay included throughout your holiday in Tokyo and Waikiki! Uncover the irresistible features of Sri Lanka on a new guided tour visiting Spice Gardens, Dambulla Cave Temple and more! 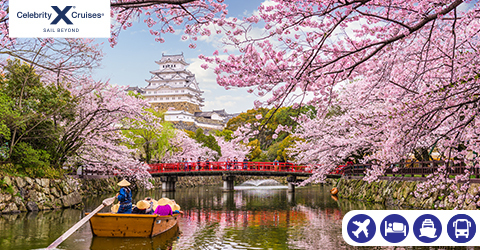 Immerse yourself in Japanese tradition with a 6 night pre-cruise guided tour of Japan including hotel stays across Tokyo, Kyoto, Osaka plus more! Tour highlights include Mt Fuji, Lake Yamanaka, Shizuoka City, Fushimi Inari Shrine, Osaka Castle Garden & more! Indulge in luxurious accomidation, culinary excellence and an exceptional onboard experience onboard Celebrity Millennium when visiting Japan and South Korea! 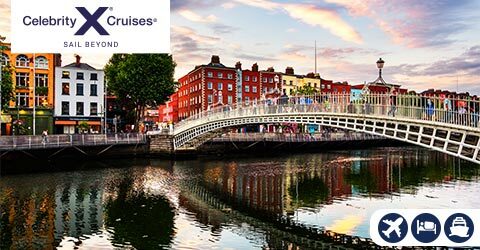 Discover the mix of heritage and history in both Dublin and Boston on this 20-night cruise holiday in August 2020! 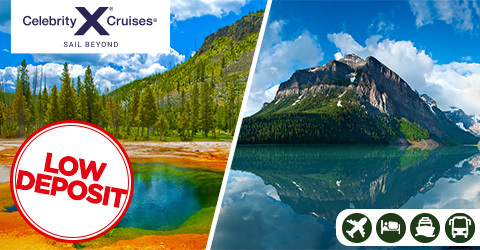 AMAZING PRICE FOR ROCKIES HIGH SEASON! 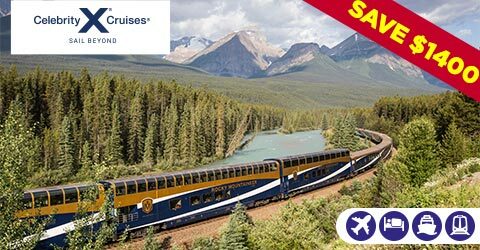 Take a rail journey down the first passage to the west aboard the luxurious Rocky Mountaineer in Silverleaf class! Cruise onboard the luxurious Celebrity Constellation for your unforgettable journey across the Western Mediterranean for 14 nights. Indulge in the Constellation experience equipped with brand new staterooms, elevating design concepts and cutting edge technology that will make any cruiser marvel in her beauty! Discover the awe-inspiring art in Rome and the enchanting seaside city of Barcelona with 1 night stays included! 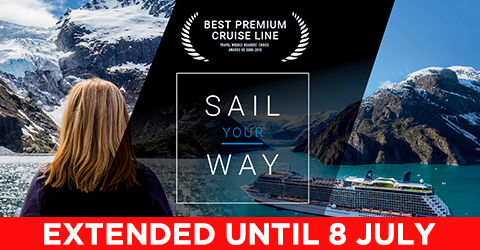 Now is the perfect time to book your Europe cruise with Celebrity Escapes and enjoy special reduced fares on select categories and sailings. This fresh new program offers you more choice and flexibility when choosing the right cruise fare option to suit your needs. Celebrity Cruise passengers benefit from fantastic innovations on their fleet of luxury ships. The half-acre manicured real lawn club on Celebrity Solstice, hot glass blowing studios and finest spa treatments by Elemis give you something truly extraordinary onboard your dream cruise. These world class facilities are sure to make your trip unforgettable. But that's not all – Celebrity can also take you to some of the world's most fabulous destinations. 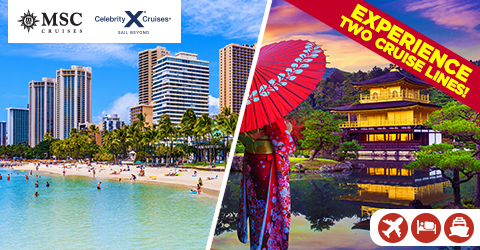 Whether you want a 7-day cruise around the South Pacific or something longer and further afield, our selection of Celebrity cruises is always expanding with new destinations. Want to witness the stunning icy glaciers of Alaska? Or maybe you'd prefer the stretching white beaches of the Philippines? Wherever you choose to venture, Celebrity will take you there in complete luxury. Even better, when you book through Cruise1st you get exclusive prices and a friendly, personable service. Our local Australian cruise specialists are on hand to help wherever possible, with 24/7 booking giving you a quick and easy way to plan your dream holiday. 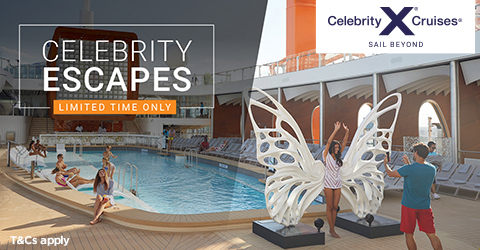 Browse our fantastic range of Celebrity Cruises on this page. Ocean View Staterooms will give you the view before you even reach your destination. Balcony Stateroom is the perfect place to relax and enjoy the sea air with your morning coffee, evening cocktail or enjoy a romantic dinner and catch the first glimpse of your next destination with the ever changing view. Concierge class gives you sumptuous extras – from Frette bathrobes and the perfect pillow menu to afternoon canapés; all of those finishing touches that make the difference between a good holiday and a great one. Aquaclass Staterooms are perfect if you want the ultimate in wellbeing and relaxation. Offering a private balcony and exclusive access to the healthy specialty restaurant - Blu, you can relax and look after yourself when you stay in Aquaclass. Suites are the pinnacle of luxury, featuring only the most elegant fittings, a personal butler service and private balcony as standard. Introducing Suite Class, the new standard in luxury cruising. Suite Class will feature a new range of exclusive benefits including a dedicated private restaurant, private VIP lounge and more. Explore the Essence of Celebrity Cruises! 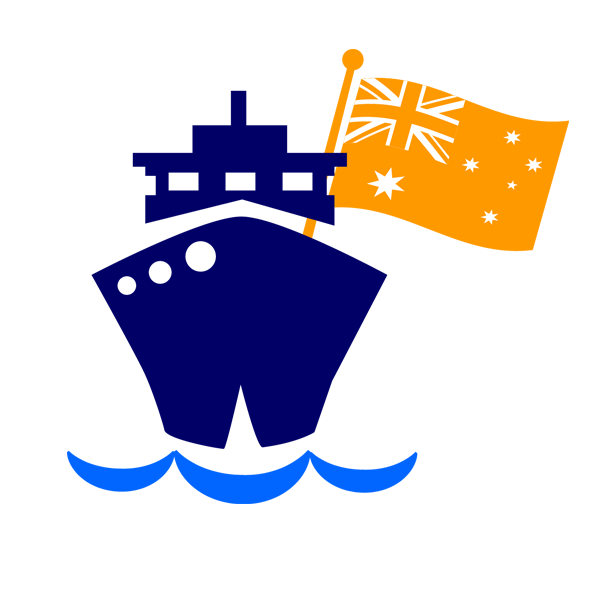 search online or call today to speak to a Cruise1st Australia specialist! 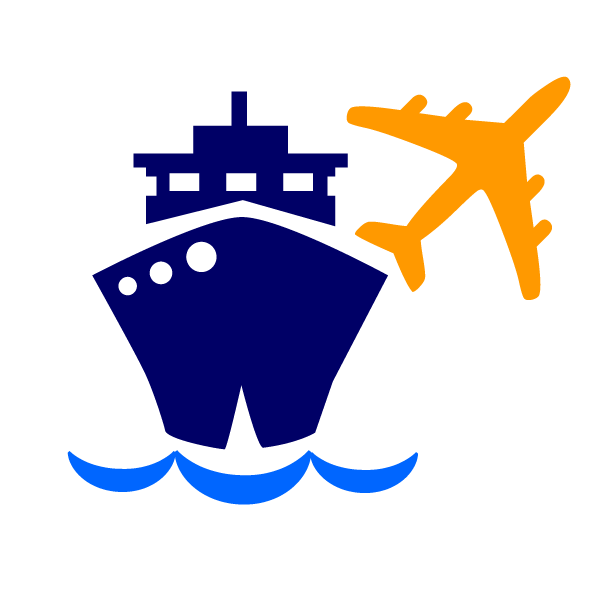 Cruise1st Australia Pty Ltd is an Australian company with a shop front and registered at 157-159 Walker Street, Level 2, North Sydney, NSW 2060. 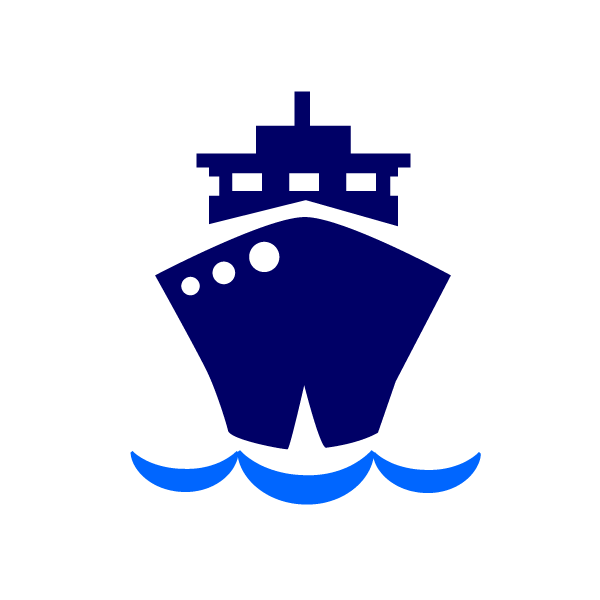 A subsidiary of Sunshine Cruise Holidays Limited registered in the UK at Unit F1A, Lowry Outlet Mall, Salford Quays, Greater Manchester M50 3AH. We are specialists in cheap cruise deals around the world.